The matrimonial regime in Italy (known as Regime patrimoniale coniugale) is governed by the Italian Civil Code. According to the rules of this Code, there are two kinds of matrimonial regime in Italy: the regime of community of property and the regime of separation of property. Pursuant to article 159 of the Italian Civil Code, in the absence of agreement between the spouses, the matrimonial regime will be of community of property. - the profits of a personal business of each spouse, if they are not consumed at the time of the dissolution of communion. - the goods obtained as compensation for damages. About the regime of separation of property, with this regime each spouse is the sole owner of his/her property acquired during the marriage. This agreement must have the form of a public act under pain of nullity. 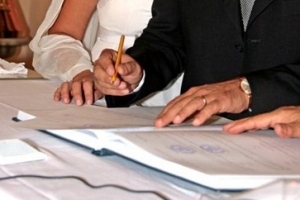 The choice of the regime of separation of property may be made ​​by the spouses at the time of the marriage. or before or after the wedding, with an agreement signed in presence of a notary.